In the Species, Communities and Ecosystem unit we will look at how almost the entire surface of the Earth is home to organisms of one kind or another. The will see that there are as many as 10 million different species on Earth and understand where and how they live and interact is a branch of biology. We will also look at how humans are not the most numerous species on Earth, but humankind is having a disproportionate effect on the world's ecosystems as damage is caused by pollution, rainforest destruction and global warming. 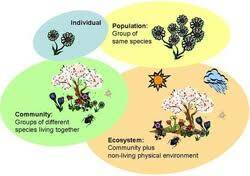 The continued survival of living organisms including humans depends on sustainable communities. State the trend found in the nutritional patterns of plants and algae. Describe the discrepancy in the nutritional pattern of parasitic plants and algae. 4.1.U1 ​Species are groups of organisms that can potentially interbreed to produce fertile offspring. Describe limitations of the biological species concept. 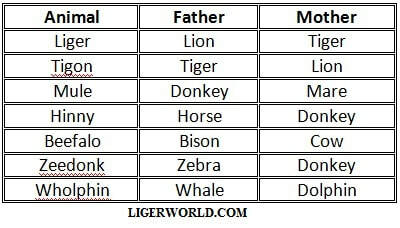 Define species according to the biological species concept. When two members of the same species mate and produce an offspring it is called interbreeding. Their offsprings it is often fertile. When two different species breed together it is called cross-breeding. This type of breeding happen once in awhile, but the offspring is not fertile, which does not let this to reproduce, because it is infertile. 4.1.U2 ​Members of a species may be reproductively isolated in separate populations. Outline how reproductive isolation can lead to speciation. 4.1.U3 ​Species have either an autotrophic or heterotrophic method of nutrition (a few species have both methods). Eg Euglena gracilis – has chloroplasts and carries out photosynthesis when there is sufficient light. Can also feed on detritus or smaller organisms by endocytosis. 4.1.U4 ​Consumers are heterotrophs that feed on living organisms by ingestion. Describe the feeding behaviors of consumers. Heterotrophs divided into two groups according to the source of organic molecules that they use and the method of taking them in. Consumers ingest their food – they take in undigested material from other organisms. They digest it and absorb products of digestion. Consumers are sometimes divided into trophic groups according to what other organisms they consume. 4.1.U5 ​Detritivores are heterotrophs that obtain organic nutrients from detritus by internal digestion. Describe the feeding behaviors of detritivores. 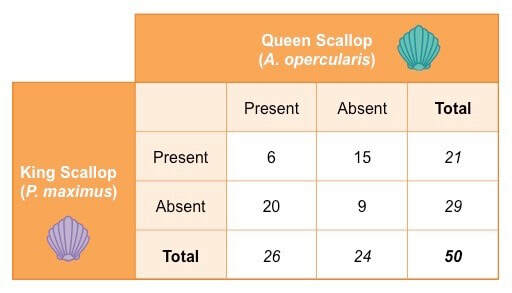 List two example detritivore organisms. This dead organic matter rarely accumulates in ecosystem – is used as a source of nutrition by two groups of heterotroph-detritivores and saprotrophs. 4.1.U6 ​Saprotrophs are heterotrophs that obtain organic nutrients from dead organisms by external digestion. Describe the feeding behaviors of saprotrophs. List two example saprotroph organisms. 4.1.U7 ​A community is formed by populations of different species living together and interacting with each other. Define species, population and community. Give an example of a community of organisms. 4.1.U8 ​A community forms an ecosystem by its interactions with the abiotic environment. Rainforest: Each layer is a different habitat as there are different species living in each layer. Light intensity affects each habitat – there will be different species of autotrophs and will therefore provide different food for different consumers. 4.1.U9 ​Autotrophs obtain inorganic nutrients from the abiotic environment. List the common nutrients needed by organisms. Outline how nutrients enter living systems. 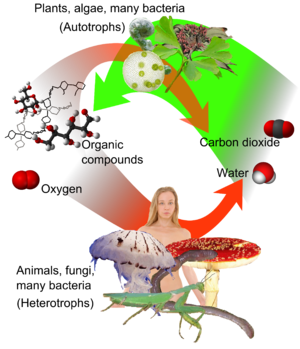 Heterotrophs obtain these as part of the carbon compounds in their food. 4.1.U10 ​The supply of inorganic nutrients is maintained by nutrient cycling. State that chemical elements can be recycled but energy can not. 4.1.U11 ​Ecosystems have the potential to be sustainable over long periods of time. Give an example of an unsustainable practice. Outline three requirements of a sustainable ecosystem. 4.1.S1 ​Classifying species as autotrophs, consumers, detritivores or saprotrophs from a knowledge of their mode of nutrition. Outline why sampling must be random. Explain methods of random sampling, including the use of a quadrat. State the null and alternative hypothesis of the chi-square test of association. 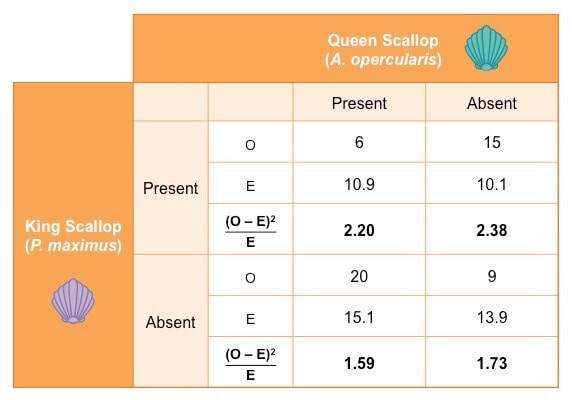 Use a contingency table to complete a chi-square test of association. This is an interactive map of mesocosm facilities across the world. Click the flags to find out who is doing mesocosm research in each place. 4.1.S3 ​Testing for association between two species using the chi-squared test with data obtained by quadrat sampling. Calculate a chi-square statistic based on observed and expected values. State the null and alternative hypothesis of statistical tests. Determine if the null hypothesis is supported or rejected given a critical value and a calculated statistic. State the minimum acceptable significance level (p value) in published research. 4.1.4S ​Recognizing and interpreting statistical significance. Outline requirements of setting up a mesocosm. ​For more on how saprotrophs such as fungi can be harnessed to solve pollutant problems, check out Paul Stamet’s talk: 6 ways mushrooms can save the world. ​A review of Chi Square with Mr. Andersen. Paul Andersen shows you how to calculate the ch-squared value to test your null hypothesis. He explains the importance of the critical value and defines the degrees of freedom. He also leaves you with a problem related to the animal behavior lab.